Tsa'ar baalei chaim, the prohibition on causing animals pain, is one of the most beautiful teachings in Judaism. Our Jewish sacred texts strongly emphasize compassion for animals, and strongly oppose the infliction of suffering on another living creature. The Talmud further insists that "A person should not eat or drink before first providing for his animals. "(5) Indeed, the Shulchan Aruch tells us it is so important that our animals not go hungry, that a person is legally authorized to interrupt the performance of a rabbinic commandment in order to make sure his animals have been fed. Tsa'ar ba'alei chaim is such an important idea in Judaism that Joseph H. Hertz, the chief rabbi of Great Britain from 1913-1946, said, "It is one of the glories of Judaism that, thousands of years before anyone else, it so fully recognized our duties to (animals)." It is absolutely clear that concern for the welfare of animals is an obligation for Jews. So how do our teachings compare with the treatment of farm animals in modern agriculture. To learn more about the plight of farm animals, read these short articles about the treatment of chickens and cows on our Website. How does their treatment relate to the Jewish mandate not to cause pain to any animal? How does their lifelong confinement compare with Rashi's statement that they must be free to roam and enjoy the beauties of nature on the Sabbath day? How is their starvation through weather extremes during transport to slaughter consistent with the mandate that we must not eat before making sure our animals are provided for, even if this interrupts a rabbinic commandment? How does the dairy industry's practice of removing the calf from his mother just after birth compare to Maimonides' words that "there is no difference in this case between the pain of people and the pain of other living beings"? How can we as Jews, who are not permitted even a small notch in the knife used for killing an animal lest it cause momentary pain, who are not even allowed to associate with hunters, how can we inflict all this suffering on so many of G-d's creatures, about whom the Torah tells us "the L-rd is good to all, and His tender mercy is over all His works?" Where is the mercy here for these suffering animals? It is clear that the Torah envisages a peaceful, happy life for animals. Today in America, however, we cannot eat animal products without directly participating in cruelty of unfathomable proportions. Each year, in the US alone, 10 billion warm-blooded animals are slaughtered for food. Compare that to the human population of the entire Earth of 7 billion, and there is no comprehending the amount of suffering involved. We cannot be compassionate, we cannot abhor cruelty, we cannot be true to the beautiful teachings of the Torah, indeed, we cannot be our best selves and the truest Jews, as long as we continue to link outselves to the torment of these abused souls. Jews have known too well the bitter taste of cruelty and oppression, and Jews have remembered our tragic history when we have seen others suffering under the cold hand of persecution. Jews have taken leadership roles in the battles for workers rights and for civil rights, and even today Jews have worked to help the plight of Haitians, Syrians, Puerto Ricans and other beleagured people. Let us not forget the suffering we have experienced as a people when it comes our turn to choose whether others will be brutalized at our hands. As Nobel Prize-winning Jewish author Isaac Bashevis Singer wrote, "As long as human beings will go on shedding the blood of animals, there will never be any peace... There will be no justice as long as man will stand with a knife or with a gun and destroy those who are weaker than he is." Let us, as Jews, who have helped change the world for the better so many times before, continue to spread the concept of tikkun olam, of repairing the world, to the countless animals who live, and die, in abject misery. Millions of people are going vegan every year. Please consider transitioning toward a vegan diet yourself, so that we as Jews can help create a more compassionate world. And to see how easy and delicious it is to eat more plants and less meat, click here. 3. Rabbi Solomon Ganzfried, Code of Jewish Law, New York: Hebrew Publishing Co., 1961, Book 4, Ch. 191, 84. 8. 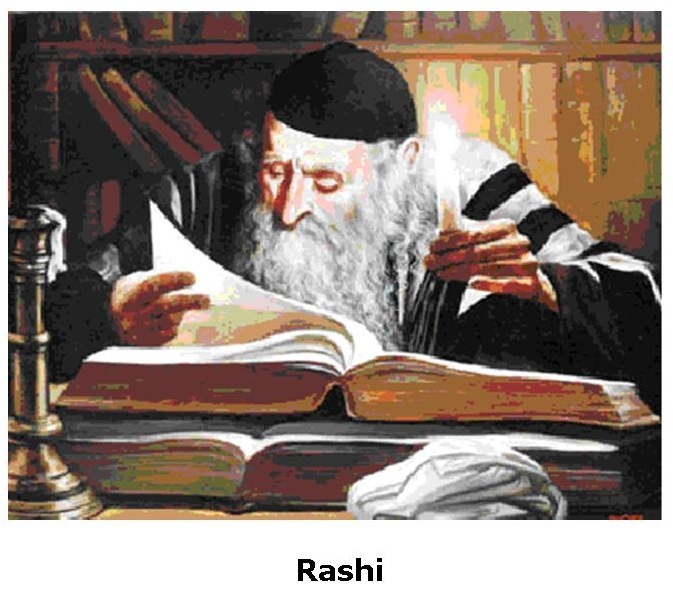 Rabbi Samson Raphael Hirsch, Horeb, Chapter 60, No. 416.